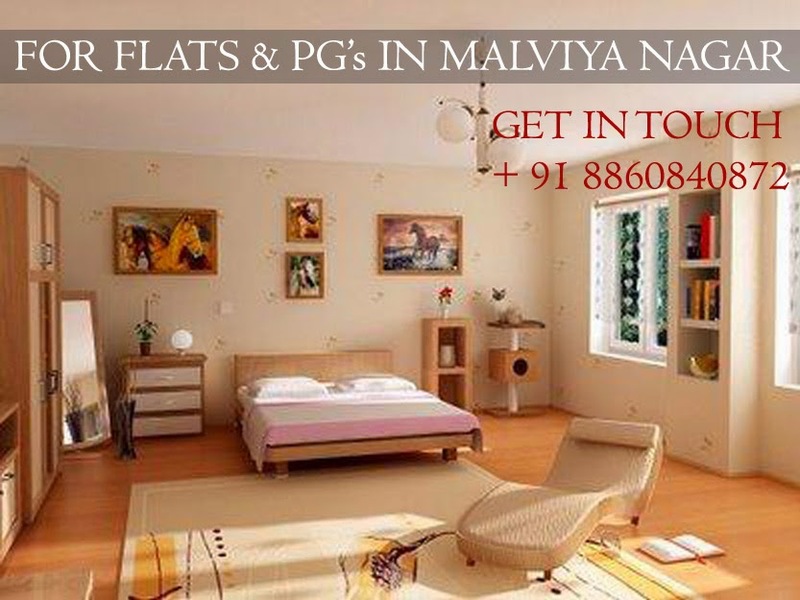 Malviya nagar | Real Estate | Property Dealers | Flats and Pg services: Best Rental Accomodation in Malviya nagar | Luxury Apartments and Commercial properties..
Best Rental Accomodation in Malviya nagar | Luxury Apartments and Commercial properties..
All the flats available with us are situated near Malviya nagar metro station. The furnished flats available with us are wifi enabled apartments, entertainment electronic equipment's like television with set top box, R O water purifier, bedding with box almirahs, Geyser in all the seasons, 24 hours running water, Air conditioner in all the rooms, reserved parking, Laundry facility along with washing machine, refrigerator, three time meals in a day along with snacks, etc. For any kind of rental accommodation in Malviya nagar we are a complete solution. We provide all kind of owner free flats in Malviya Nagar at affordable rentals, other than this we also provide sharing flats in Malviya Nagar for girls, boys, working and non working tenants. The outstanding features of the flats are spacious halls, open terrace, well finished furniture, Italian tiles, Pop interior, glass windows, well connectivity with metro stations and located on main roads. Malviya Nagar is a place which is situated in between Saket and Green Park, therefore it is the best place for daily commuters of Gurgaon and Delhi. If you are based in Delhi or Gurgaon and are planning to shift to this place then stop thinking and start dialling our number. Also, if you have plans to set up your business in South Delhi than Malviya Nagar is the best place. Since, it us the hub for all the new kind of ventures for any and every business idea. There is a major foot fall in Malviya Nagar market and also its a renowned place. All kind of raw materials are easily available here in this market. If you have a plan or an idea to launch up your business in a place like Malviya Nagar then, do not give a second thought and go for it.